Today marks the first Opening Day without Chief Wahoo. How much, if at all, will you miss seeing him? The Cleveland Indians have started their first season without the divisive Chief Wahoo logo on team uniforms for the first time in more than 70 years. The organization and Major League Baseball announced in January 2018 that the use of the Native American caricature will cease on field following the end of the 2018 season. “Major League Baseball is committed to building a culture of diversity and inclusion throughout the game,” MLB Commissioner Rob Manfred said in a statement. The decision to remove the logo coincides with the city being awarded the chance to host the 2019 MLB All-Star Game, but league and team officials have emphasized that the logo removal was not forced in order for the right to host the midseason game. 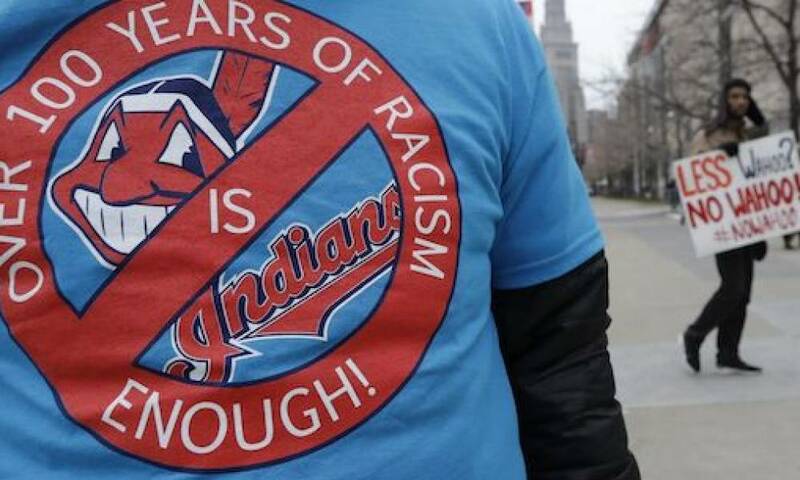 Team merchandise with the Chief Wahoo logo will still be available in a limited capacity, according to the Indians organization. The Chief Wahoo logo was originally created in 1946, but did not appear on the Indians’ uniforms until the following year.